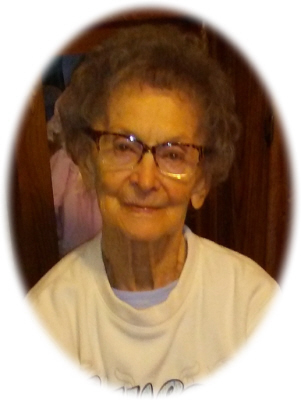 Margaret Jeanette (Miscak) Zabarcki, age 92, of Breckenridge, MI, passed away Monday, February 11, 2019, at Woodland Hospice House, Mt. Pleasant, MI. In honoring Margaret's wishes, cremation has taken place and no services are planned at this time. Margaret was born in Merrill, MI on November 26, 1926, the daughter of Hungarian immigrants, Andrew and Anna (Menyhert) Micsak. She was the oldest daughter of nine children. Margaret was a very loving, caring person. She had a heart of gold and always put others first. She loved caring for the flowers and yard at her house. Margaret also enjoyed music and often attended music festivals in the area. She enjoyed dancing, the Bee Gees, and watching TV. She always liked to have visitors stop by and going out to eat. Margaret especially loved spending time with her family. Margaret is survived by son Alan (Melissa) Zabarcki of Gaylord, MI; daughter Rita Berger of Breckenridge, MI; grandson Chris Berger; granddaughter Carie Berger; great grandsons: Donavon Curtis and Jaydon Berger; sister Mary (Paul) Hopkins; brothers: Paul Micsak, and Dan (Rita) Micsak; sisters-in-law: Rosemary Micsak and Margaret Micsak; brother-in-law Don Kragenbrink, and many nieces and nephews. Online condolences can be sent at www.smithfamilyfuneralhomes.com. The family is being served by Smith Family Funeral Homes, St. Louis, MI.